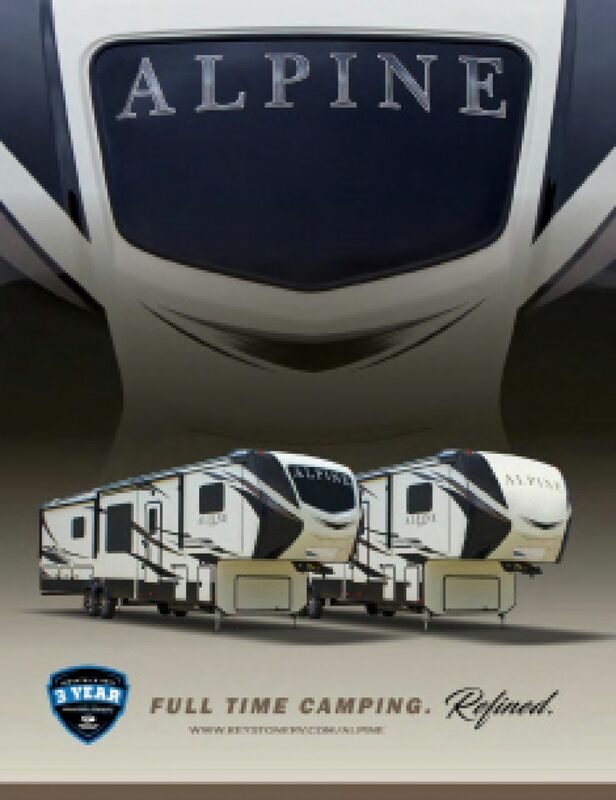 Hop into this New 2020 Keystone Alpine 3700FL and go on a camping trip with the family! This 5th Wheel is ideal for fun-filled adventures! At TerryTown RV, you'll find incredibly low prices on top quality RVs! Come see our large inventory of RVs at 7145 Division Ave S Grand Rapids Michigan 49548, or call us at 616-455-5590 to talk to a top RV expert today! This 5th Wheel is easy to tow, with a hitch weight of 2775 lbs. and GVWR of lbs. Outside you'll be able to lounge under the shade of the 14' 0" awning! Cool down in the heat of the summer with the 15000 BTU a/c unit and heat things up in the winter with the 35000 BTU furnace! 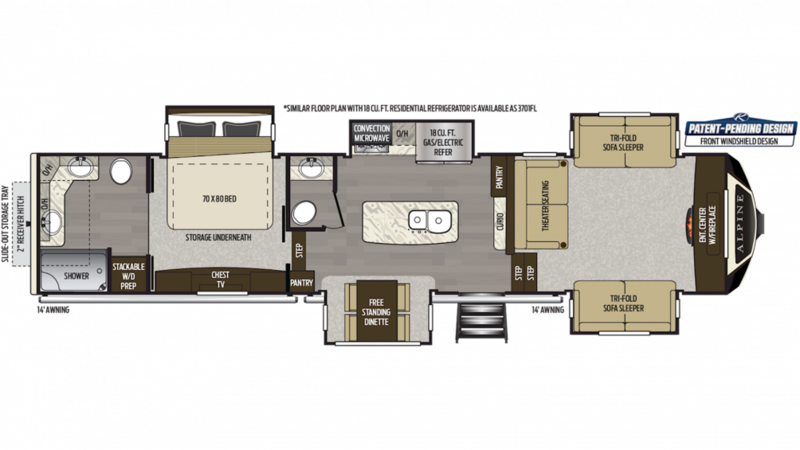 This RV is 41' 5" long, 8' 0" wide, and 13' 4" high, so you can walk around, stretch out, and spend time with the family without bumping your head or feeling cramped! The master bedroom features an extra snug King bed! Your family will find enough comfy furniture in this RV to sleep 6 people! If you're tired of fast food and campfire fare when you're camping, then you're going to love the awesome kitchen in this 5th Wheel! It comes with all modern cooking appliances, including a 3 burner range, 18.00 cu. ft. refrigerator, and more! You'll serve your family delicious, hot breakfasts, lunches, and dinners every day!